If you are going through the traditional Chinese confinement period, you will not be allowed to drink plain water as it is a traditional belief that it will promote “wind” due to bloating from water retention. Most mothers end up having to drink Dried Longan and Red Date Tea but there are other alternatives to spice up your beverage menu during this period which lasts from 1-2 months. 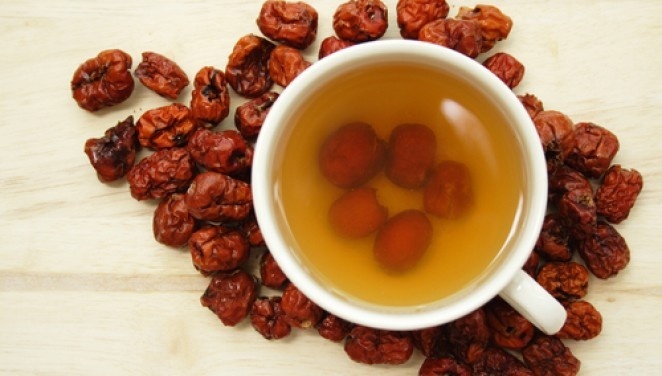 Here are the recipes for some drinks you might want to consider, as well as the recipe for the common Dried Longan and Red Date Tea. Toast 500g to 1kg of rice grains (uncooked) in a dry wok over low heat until it is dark brown. Store the fried grains in a container that is airtight. As and when you want to brew the tea, scoop out a handful of this rice into a mug and steep it in boiling hot water for a while before you drink it. It is a fragrant brew that is not only easy to prepare but also very nutritious. Ginger is the best remedy for “wind” in the body and very warming. It helps to improve one’s appetite as well. If you feel that there is a lot of “wind” present in your body, you should drink this once every 2 or 3 days. If not, you just need to consume this at least once or twice during the confinement period. What you will need is 120g of ginger. Peel them and slice them up. Put them in a juice extractor and warm this juice over a small fire. Drink this warm and you can alternate between this and the other teas. Dried Ginger Juice can be overpowering in taste for some people. One way to help make it easier to consume is to mix it to hot cup of Milo. This can be drunk once or twice a day. You will need red dates and black dates for this brew- 30 each and pitted. Add this and 100g of rock sugar into 2 litres of water. Simmer over low heat for between 1 to 2 hours. As with all the drinks, it is best consumed warm and is a substitute for water. You dont’t have to consume the dates within the drink. This is the most common of all confinement drinks. Dried longan is “warm” and very beneficial for the heart and kidneys. You can also consume this if you are anaemic. You will need 50 pitted dried red dates, 2 litres of water, 100g of rock sugar and 100g of dried longan that has been washed and drained. Just like the Red and Black Date Tea, you will need to simmer this brew for about 1-2 hours over a small fire and consume it whilst it is warm. When Can I Start Losing Weight After Giving Birth?